With a host of critically acclaimed works backing him, his readership has been secure for a while and Ghosh has no need to rue its rather nebulous state in India but the storyteller isn’t restricted by parochial notions of self-interest. He encourages me to read Mukul Kesava’s The Ugliness of the Indian Male a book he has just finished, and tells me about a work by a Burmese writer sent to him for a blurb – the way he gets most of his books these days – he admits, chuckling. Having read Sea of Poppies cover to cover and returned often to passages like Deeti’s journey into the opium factory in search of her incapacitated husband or the zamindar, Raja Neel Ratan’s trial, I obviously had to know what set him off on this, the first part of his proposed trilogy. As it turns out, the seeds for the opium wars that consume this series had their genesis in the migrations we first encountered in The Glass Palace. His social and anthropological bent clearly make his writing contextual but the bearing that these macrocosmic events have on the lives of his extremely resilient characters demand a lot of research which interests him as well. This process of reading and unearthing history also takes him travelling across the world. The Ibis trilogy has already taken him to Mauritius and China where he spent a lot of his time cooped up in libraries and museums and also fraternizing with locals. His ruminations recall Baboo Nob Kissin, the laughable yet pathetic agent who arranges for indentured labourers but also sets up a camp as a temporary refuge for them in Sea of Poppies. 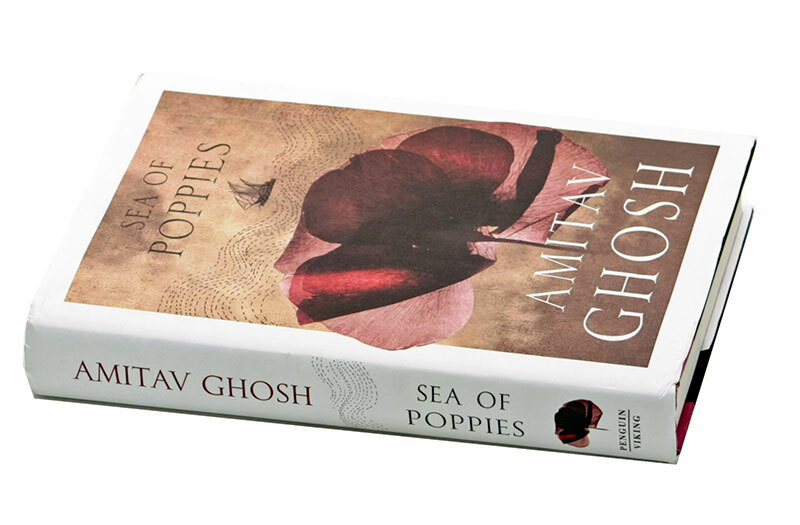 Pondering on the characters and rhetoric of Sea of Poppies Ghosh insists that there’s some of the same callousness in each of us. He refers to the period of the opium wars alternately as a “grave question mark in India’s past”, “an erasing of our consciousness” and “a weird remembering of history”. And it’s this blank tabula rasa, this manufacturing of a consensually forgetful history that he tries to set right in his works. Despite its rather intimidating dimensions Sea of Poppies needn’t be a stow away for a perfect cruise. It’s interesting then that his one dissatisfaction with his works is their brevity, shocking to anyone who has considered his opus. “I felt I could have lingered on or spread out more and doing a trilogy really gives me the space to do that.” It’s also why he finds writing so engaging. “It’s all improvised, there’s nothing in it that is not…. Every day when you sit down at your desk you have to put on a performance and the performance is just to yourself but it’s in the same way that an actor comes out and improvises. You’re really just making it all up every single day. You’re squeezing your brain like an orange, every day I feel like I’ve just squeezed my brain,” he chortles. Economic concerns do bring me to the possibility of cinematic adaptations. Lyrically spun together it’s already got Bollywood big-wigs vying for exclusive rights. I personally think adaptations would be unfeasible, a thought given credence by the fact that directors and producers have often dropped the cinematic ball on these projects. But I also fear art directors will mess up the cinematography, characters will be cut for want of time and melodramatic thespians will cause sheer overkill. Ghosh though, is unperturbed by creative differences with moviemakers. His focus now is his sequel, surely lying somewhere beyond the sea…. In the tradition of Dickens’ serialised fiction comes Sea of Poppies which closely mires the lives of its characters across all strata of society. From the widowed Deeti and leviathan Kalua, to zamindars like Neel and colonialists like the Burnhams, from mulatto seafarers like Zachary Reid to libertines like Paulette and a whole host of lascars and girmityas (indentured labourers) who populate the first of the Ibis trilogy, Ghosh creates characters that promise to be sought out in sequels. Centring on the opium wars that have long been forgotten, Ghosh once again brings attention to issues that have been brushed under the metaphorical carpet. While he conjures from floating history, characters that struggle against or conspire with circumstances that invariably trickle down and have ramifications on the fringes of society, he also puts us at unease with our own history. Sea of Poppies forces us to confront our complicity in colonialism and questions the silence of consent that is pertinent to neo-colonial practices that continue today. While some of the writing seems a little incredulous, the appropriation of Indian languages by the English for instance or even a little melodramatic none manage to surmount the epic tale that’s only in its nascency. It isn’t in quest of novelty that one should reach for this tome, though it certainly can be found here. 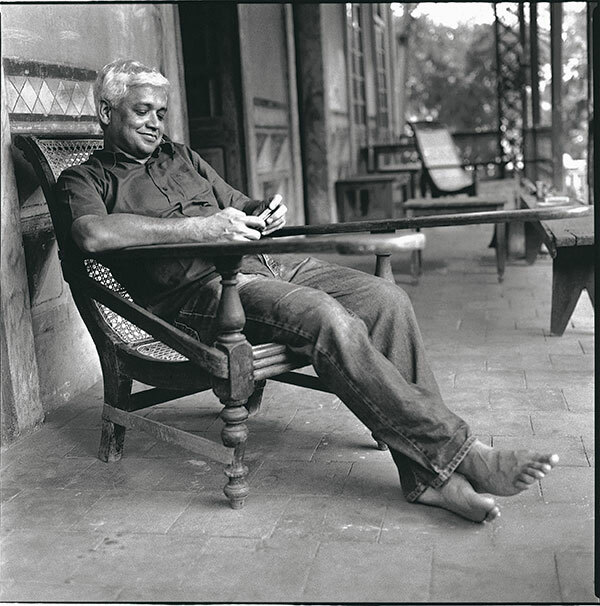 It is to discover what Ghosh does best – remember forgotten histories.